Every so many years we get another album called Weezer. In between are others. 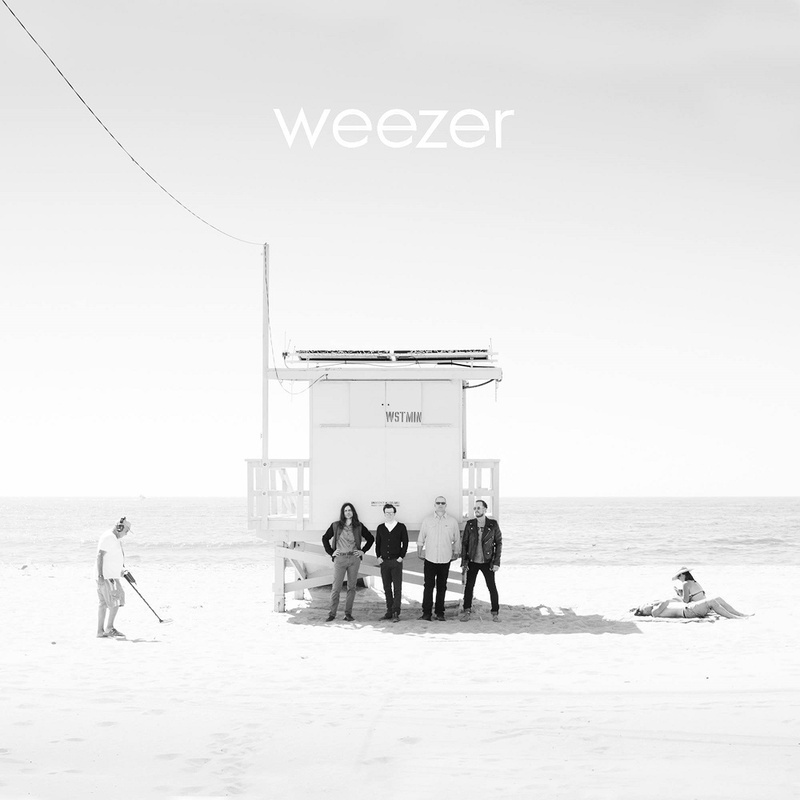 It started with Weezer and 22 years onwards we have the fourth edition, for ease "the white album". Weezer's a band that is in search for the perfect indierock song. In short that means that beautiful vocal melodies are accompanied by loud guitars and rhythm instruments. 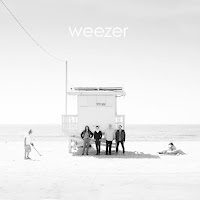 Rivers Cuomo pens a few perfect songs every few years and releases them under the name that he broke with big in the mid 90s: Weezer. At the time a part of the nerd rock scene together with Nada Surf and Fountains of Wayne. Of those bands Weezer remained the most true to its start. Where Nada Surf became softer through the years and where is Fountains of Wayne in 2016?, Weezer remains Weezer. Better as far as I'm concerned than in the 90s. The songs are simply less thorny and better. Over the years this band has come up with a bunch of songs that are indestructible. It is not so much that I like a whole album, but I always love several individual songs, a lot. 'Beverly Hills', 'Hashpipe', just to name two, are examples of all that makes a Weezer song so great. Funny, a bit naughty lyrics, with great rock rhythms and playing that never goes all in one flow. Lots of accents and dynamics. Well, this Weezer is full of songs like these. Nothing new, not a lot of development or growth to be noted, but Weezer is Weezer on Weezer. Just as I like it. 'California Kids' starts soft and slow, before the band starts rocking out in a song in which all the strong points of Weezer come forward. In fact it could have been a Fountains of Wayne songs bar the more intricate vocal harmonies of that band. Listening more closely it is easy to hear how many attention to detail Weezer put into details in the arrangement of songs. Listening to 'Wind In Our Sail', all these guitars come forward, layer after layer, add ons with tiny notes or lines that creep into and out of the mix. Vocals that drop in and out. And that all next to the changes in the drum patterns and dynamics. On top of that the main vocal melody is of the sort that is tremendously pleasant and easy to sing along to. Looking back on the past 20+ years in which Weezer released records, I have to state that not all Weezer albums passed positively by me. Weezer (The White Album) certainly does. It is the sort of pop rock album that makes the sun shine when its raining. The music has this positive edge that is most welcome in a summer like this country is experiencing in 2016. The exception being 'Do You Wanna Get High'. A bit boring to be honest, in contrast to the excitement that is supposed to go with the subject, for teenagers that is. At a certain age it ought to lose that part of the attraction. It seems it has. For the rest I have no complaints. Weezer delivers.